The church was rededicated after 16 months of recovery. Saints Joseph and Michael Church was severely damaged when flames spread from nearby buildings. Saints Joseph and Michael Church held a rededication ceremony on Dec. 15, celebrating the church’s first mass after being rebuilt. The church was one of many structures claimed by a fatal fire that devastated Union City on Mar. 4, 2017. Dozens of homes near the intersection of Central and Summit Avenue were destroyed along with the church. The fire claimed the life of a 2-year-old boy. Several people were injured in the fire, and over a dozen families were displaced as a result of the disaster. The fire was reported to have started after two men, now serving sentences for reckless manslaughter, were flicking lit matches at someone sleeping on a couch. Flames spread from their apartment to neighboring structures due to the high winds. The two-year-old that perished was the son of one of the men charged with reckless manslaughter. 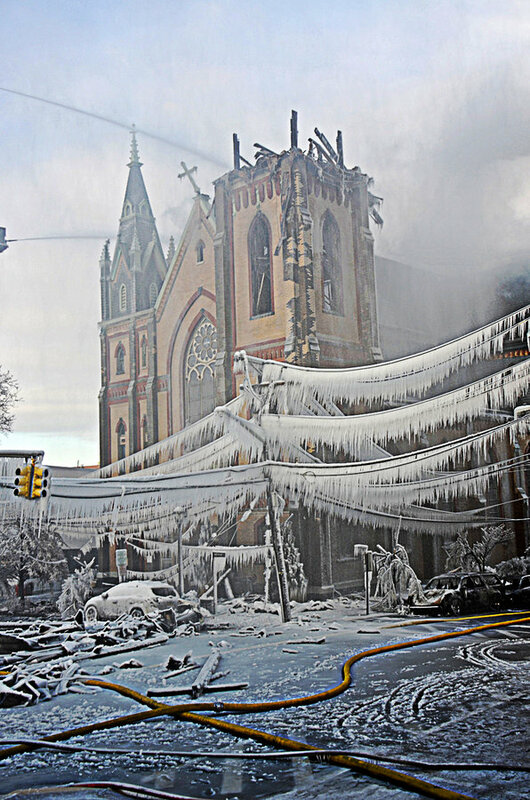 According to the Archdiocese of Newark, the $6 million reconstruction required repairs on both the interior and exterior of the church, as well as replacement of statues, vestments, and other items lost in the fire. The church reported that most of the reconstruction was covered by insurance. The archdiocese said the restoration was done in a historically correct fashion, but some engineering judgments led to a few changes from the prior building. Over the course of an 18-month reconstruction project, Tobin’s promise came to fulfillment, and he was able to consecrate the altar and rededicate the church at the Dec. 15 mass.